Virtuemart product image zoom Pro plugin is an advanced version of Virtuemart Zoom Plugin its liter version compared to the FREE version also included additional Zoom modes and browser compatibility. This plugin is fully responsive for all the devices. The Virtuemart product image zoom Pro plugin comes with a standard slider option for more images and its compatible for all the Virtuemart 2.X versions. Joomla 3.x and Virtuemart 3.0 ready and have amazing scroll zoom options too. The different zoom modes are shown below. The installation is simply like any other Joomla extensions. Login to Administrator -> Extension Manager -> Add new ->Choose zip file. Then go to plugin manager just activate it. 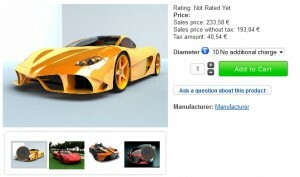 Lets check what are the features of the Joomla Virtuemart Product Image Zoom Plugin one by one. Joomla 3.x and Virtuemart 3.0 ready. 4 Zoom window Positions available. Other images shows as thumbnail width is manageable. the basic configuration are shows in the below image. This plugin is developed based on the Virtuemart 2. x, 3.x standards, the templates that overrides Virtuemart default classes should use the advanced tab section for setting the DIV Classes. Support for this plugin only through E-mail, chat or remote desktop access within 48hr(max). 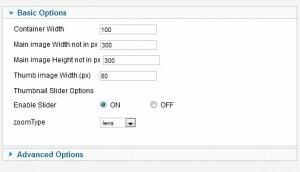 DOes this plugin has option of image enlarge. The complete enlarged image shows up in popup mode. Yes, I has that options as well. No, Its not works that way but if you add a high resolution image, then 100% is looks great. can you help me to fix the problem? The issue is due to jQuery conflict just disable jQuery from my plugin params advanced section. then open the configuration advanced tab and turn off jQuery. Then it should fix the issue. Just install and activate the plugin it will works on the product page. If it didn’t work then check the default classes assigned to the product images in your template. bcoz some template may override the VM classes to their own. Still trouble feel free to send the site url will check and help you. ( you can use contact form of my website for that). This is first time I’m getting such an issue, I think it might be VM configuration section you may leave thumbnail height as empty. 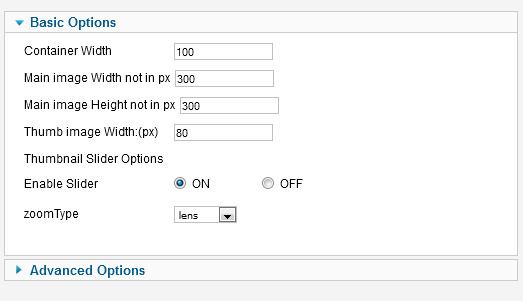 bcoz my plugin will take the width and height from VM configurations. But any way you made the point , if there is any of them missing , height or width I have to figure out the thumbnail proportion. Thanks for the point ,I have to handle this situation and will update my plugin. Virtuemart version are you using ? Free version only supports VM2.x if you’re using VM3.x you have to use PRO version it should be compatible. The idea of the plugin is good but it does not work as it should for me. I have a joomla latest website using vm and the zoom addon but this addon creates the problem into the product details image. Its seems you’re using Free version that is not compatibile with Joomla and VM 3.x version. still facing issue use contact form to drop an email , with site link will help you. I’ve just purchased the Zoom Pro plugin and I’m having some issues with display. The additional image thumbnails are not showing in main image area, only opening in new window when clicking. It seems a jQuery conflict in your website. Your template may already loading the latest jQuery version. So you can just turn off the jQuery from my plugin manager advanced param section. So it works well. regarding second requirement it not well understand, you mean the image image title need to be shown inside main image area ?. if that is the requirement its not available for PRO but I can add it for you. if you need. JQuery issue resolved, thank you. I need the Displayed Image Subtitle to display within the main image. This is a different subtitle for each image. I had it working previously before adding zoom. If you could help with this then that would be great. Can you please share site URL with my contact form , So I can check it , also see how its works before the plugin installation. I’m about to leave the worst review in the JED for this. The free version doesn’t even have close to the zoom effect as advertised. It opens in a new window and you lose the ability to have more than 1 image. It’s actually a decrease in functionality… and apparently was a huge waste of my time to install it. Maybe I’m wrong and this is a bug – not the way it’s supposed to function. Free is expensive when you download a ‘free’ extension that doesn’t work as stated. It has all the ability that described in the feature list. This is the first time I’m getting such review . The plugin doesn’t work well on your site may be due to template or Jquery conflict. I’m here to help you on that case, sent me the site URL I will check and let you know the issue. The Pro version has all support and many satisfied users. Is there a way to make thumbnails carousel vertical? I think there is some option available in cariusel just check it out you will be able to do that. the plugin don’t have such options at this moment. I have purchased the pro plugin for virtuemart 2, I have installed the plugin and it has been configured as the documentation states, the image classes are set inside the plugin and I have the latest version of jquery 1.8 on the site, however the plugin does not seem to be doing its job. Can you please advise what may be wrong? Can you please share the site URL then I will be able to check in detail. The common issues are template class or ID mistakes or some time some templates added these class dynamically using scripts . So that time plugin failed to overwrite these classed . So in your default_image.php or default.php which file have image and more image section. just override these classes in your template and enable the plugin. If you still facing issue to make work the plugin, feel free to contact me I’m glad to help you. I have managed to fix it, the default template style in virtuemart had been set to PDF, unknowing to me, so I changed this back to default template and it now works. Lovely plugin, works a dream. Thank you. Glad to know that, Thanks for using PRO version. This plugin supports joomla 2.5 version? Flexible zoom effect that is very easy to install and looks great too. Does exactly what’s expected. I like that it works with multiple product images too. Also I received very helpful support and speedy responses when configuring the zoom plugin. Joomla Virtuemart Product Image Zoom..